In a recent interview hockey legend Wayne Gretzky discussed the mental aspects of hockey. Gretzky is known by hockey fans as “The Great One” not only for his unbelievable talent, but also for his superior hockey mentality.To be a great hockey player you must display mental toughness and awareness on the ice. This means playing your hardest, reacting to different situations, and keeping up with speed of the game. Gretzky believes that pregame warm-ups are key to winning in hockey. 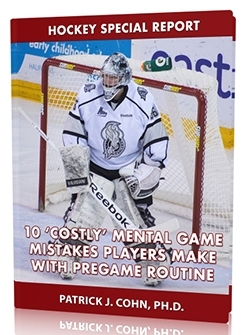 “You have to take advantage of your pregame warm-up. It helps you get in the right mindset to perform. Your warm-up sets the tone,” said Gretzky. He also believes it is important to have a game plan for your performance before you step onto the ice. “You have to really know the team you are playing, and what you have to do win. If you’re playing an aggressive team you have to play fast and aggressive. If you’re playing a really talented team you need to know their weaknesses,” said Gretzky. After an efficient warm-up on the ice Gretzky would go back into the locker-room and review his game plan. “I would take a few moments in the locker-room and visualize myself on the ice to help me avoid distractions and focus on my game plan,” said Gretzky. Reviewing your game plan will help you focus on what you want to accomplish and free your mind of distractions. 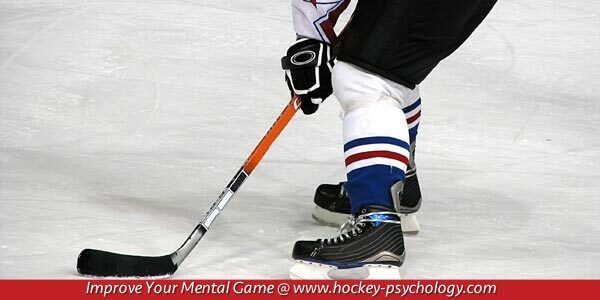 Set time aside before the game to visualize yourself on the ice executing your game plan. See yourself scoring a goal, completing a perfect pass, and defending your zone. This will boost your confidence and put you in a performance mindset. Use your game plan to give you an advantage over your opponent. It’s important to stick with your plan throughout the game. Questioning your game plan will only distract you from doing what you need to do. Trust your preparation and give it your all on the ice.